Bram Stoker, despite having a name nearly as famous as his legendary undead Count, has remained a puzzling enigma. 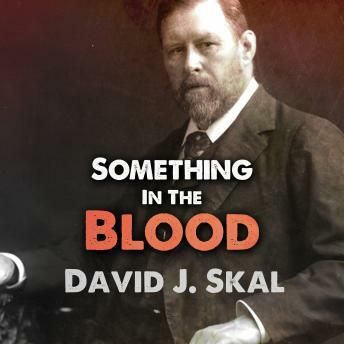 Now, in this psychological and cultural portrait, David J. Skal exhumes the inner world and strange genius of the writer who conjured an undying cultural icon. Stoker was inexplicably paralyzed as a boy, and his story unfolds against a backdrop of Victorian medical mysteries and horrors: cholera and famine fever, childhood opium abuse, frantic bloodletting, mesmeric quack cures, and the gnawing obsession with “bad blood” that informs every page of Dracula. Stoker's ambiguous sexuality is explored through his lifelong acquaintance and romantic rival, Oscar Wilde, who emerges as Stoker's repressed shadow side?a doppelganger worthy of a Gothic novel. The psychosexual dimensions of Stoker's passionate youthful correspondence with Walt Whitman, his punishing work ethic, and his slavish adoration of the actor Sir Henry Irving are examined in splendidly gothic detail.